In just four months, a 36-acre training village on the U.S. Army base at Fort Hood was transformed into the set of the National Geographic Channel’s The Long Road Home. 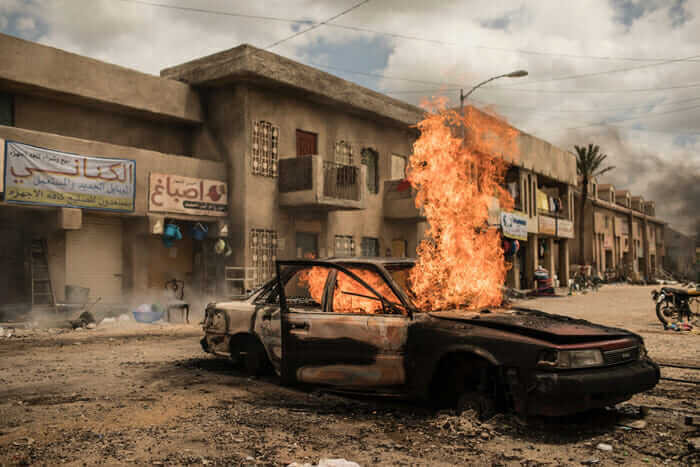 The eight-episode drama stages the heroic fight for survival when the 1st Cavalry Division from Fort Hood was ambushed on April 4, 2004 in Sadr City, outside Baghdad—a day that came to be known as Black Sunday. The strikingly lifelike set of The Long Road Home, conceived and created by Emmy-nominated production designer Seth Reed, brought together the photographic records of embedded journalists, the still-simmering memories of veterans and active-duty soldiers, and the newest techniques in digital design and visual effects. 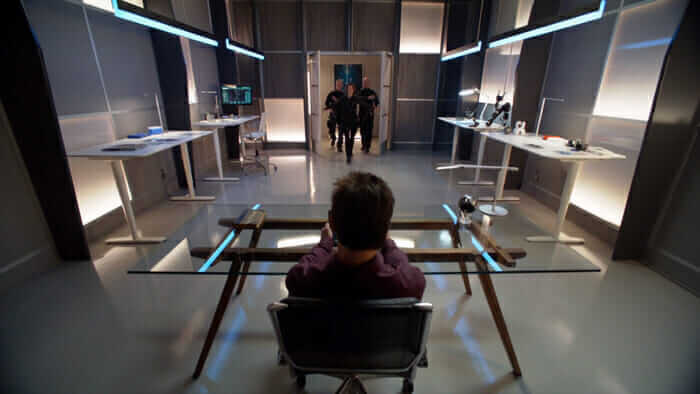 As the latest milestone in a deeply imaginative career that includes set design credits on The CW’s Supergirl, Hulu’s Shut Eye, and National Geographic’s Cosmos: A Spacetime Odyssey, the project has taken Reed to Jordan and Morocco and drawn him into close bonds of friendship with several of the battle’s surviving troops, who consulted in the design. Sadr City, Iraq, re-created at Fort Hood, Texas, for The Long Road Home. Courtesy Jeremy Benning. Here, the former architect, graduate of the Southern California Institute of Architecture, and son of artist Laurie Morgenstern and mid-century modern architect John Reed talks about the set, the fusion of real and fantastic elements in Hollywood production, and his path from a young draftsman into a world of visual storytelling and mythmaking. What steps led you into production design, after starting your career as an architect? In 1993, a colleague of mine—an architect-turned-production designer named Catherine Hardwick—invited me to be draftsman. In those days, there were many more non-union shows. Tombstone was one of the last of the larger ones; I got to experience a full range of art department duties, from actually building things to drawing and managing. It was a great start, and I fell in love with the idea of participating in a narrative, especially if it was science fiction or historical. For me, it offered a lot more opportunities to design. It’s been a long, hard journey, though. It’s taken me 20 years to get to the point of being a production designer. I worked my way through almost every position in the art department, putting in my time before finally taking the responsibility of managing a project. 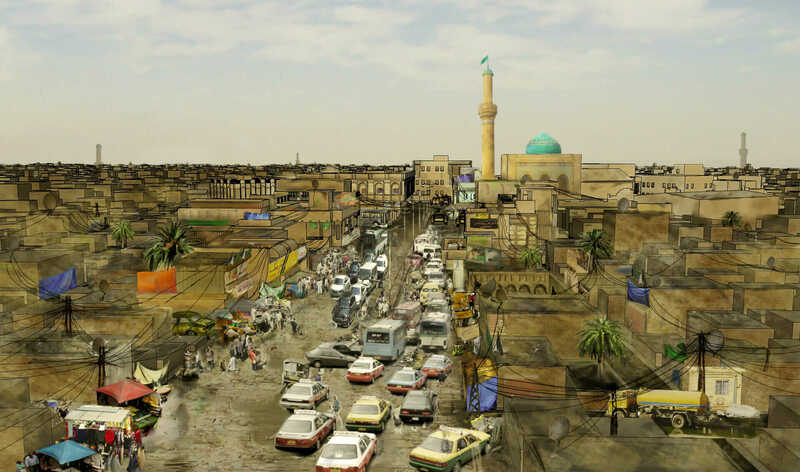 Production artwork of Sadr City for The Long Road Home, shot at Fort Hood, Texas. Courtesy James Hall. You created the largest standing set in North America, building or redressing more than 113 structures at Fort Hood. How did you pull off such an ambitious project? To build a set of this magnitude in a short time, we started with simple drawings and designs and gave a lot of latitude to the construction team; we solved problems as they came up on-site, and just went as fast as we could. 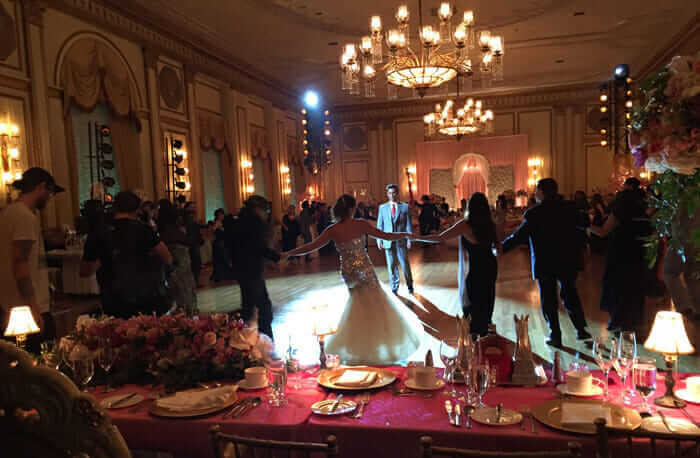 We had a very large team of carpenters, painters, plasterers, set decorators, and many others. The project was well planned; we had about three months before starting construction to work out the strategies and get our drawings together. When we finally started on-site in January, we just hit it hard and never stopped until shooting started. How did you begin the design process? As with all projects in film, we started with research. We gathered as many images as we could find—from books, from the Internet and news broadcasts, and of course, from the soldiers themselves. Many of the soldiers had digital cameras with them and shot stills and even some video. We looked at their photos and we spent time talking to them; some were actual design participants. We tried as best we could to get descriptions of the hero house or the streets; both Iraqis and American soldiers gave us advice and feedback. CW’s Supergirl. Courtesy David Stockton. I started with the existing site plan. 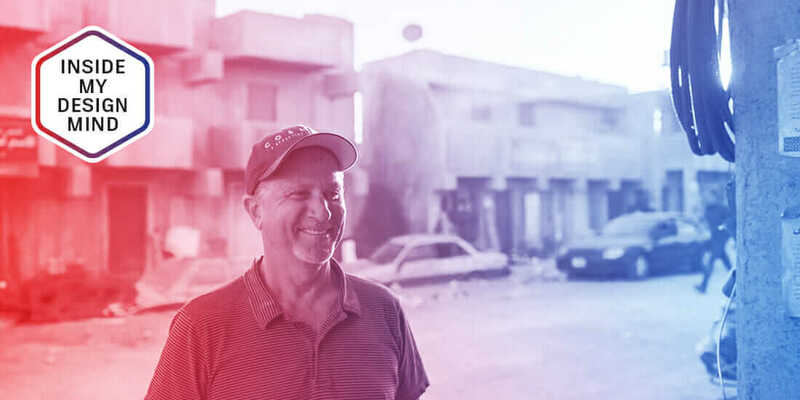 The key aspect was how to convincingly replicate—in a social, cultural, and visual way—the streets of Sadr City on a site that is actually a U.S. Army base and training facility. This facility was designed as a facsimile for Eastern Europe, with winding streets, gabled roofs, and dormers—quite the opposite of Baghdad. We know Baghdad has wide streets, and many mosques and larger buildings are in a “Mideast modern” style stuck in the ’50s and ’60s. As I sketched, I mapped out places where scenes would play—long, straight streets that vehicles would race through, or buildings where soldiers would hide and be trapped. Do you use software that’s similar to traditional architecture tools? In TV, we tend to use easy-to-use programs where we can make alterations quickly. For example, we can specify the camera and its lenses to make a “shot” from a specific distance and height. Our drawings tend to be much more “picture-ish,” with notes in plain language that are repeated frequently throughout the drawings. There might be a reference to a certain texture, or we might use a 3D model from several angles, with notes that say, basically, “build this.” There’s less need for structural engineering and more need for construction coordination and site management. How did you pick the location? Economically, it might have been feasible to explore a location like Mexico or Jordan or Morocco. We might get a lot of authentic texture and variety, though nothing would look perfect. On the other hand, the U.S. Army offered us a huge space to work in, where we could shoot all night, blow things up, and have access to soldiers and equipment that we would never find in a foreign country. It was an unprecedented offer: M1 Abrams tanks, Bradleys [tanks], trucks, and soldiers. It’s a question of authenticity and believability versus texture and cultural reality. We chose to go with the Army base, and it became our task to add the texture and architecture. Hulu’s Shut Eye. Courtesy Pierre Gill. What was it like to work with combat veterans on this project, many of whom have traumatic memories of the setting you’re trying to re-create? Many remembered—I witnessed [them] remembering—the events as they walked down streets we re-created, literally matching the locations of their interactions with the same exact buildings, the same reference plots. High-ranking generals, Gold Star families, wives of soldiers killed, wounded veterans from other parts of Iraq—everybody I brought through had the same intense emotional reactions. Sometimes, soldiers would turn around and leave. Wives would stop and utter, “this is as close as I’ll get to understanding where my husband was.” Soldiers would say, “this is exactly like what I remember, except for the smell.” This was the single most fulfilling experience of any show I’ve ever worked on, to be with soldiers going through this cathartic experience. Two soldiers were hired to be with us every day for research purposes: Sgt. Eric Bourquin, who was with the platoon of trapped soldiers, and Aaron Fowler, a soldier who was part of the rescue convoy. I think it helped them to be here with us every day and work through these events.